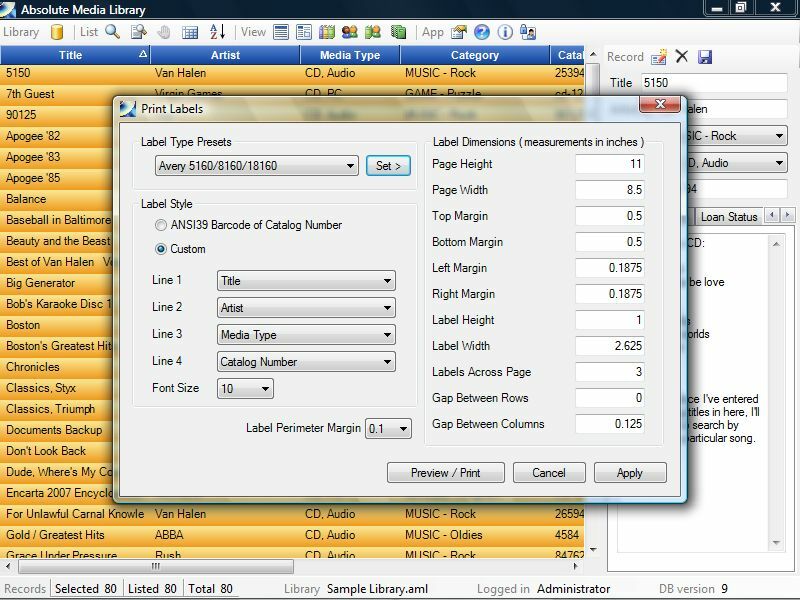 Absolute Media Library is a database program for cataloging and tracking of all types of physical media like Books, CDs, DVDs, or any format you can think of. It also tracks people who you lend items to, keeps inventory, and can generate reports on a number of criteria. 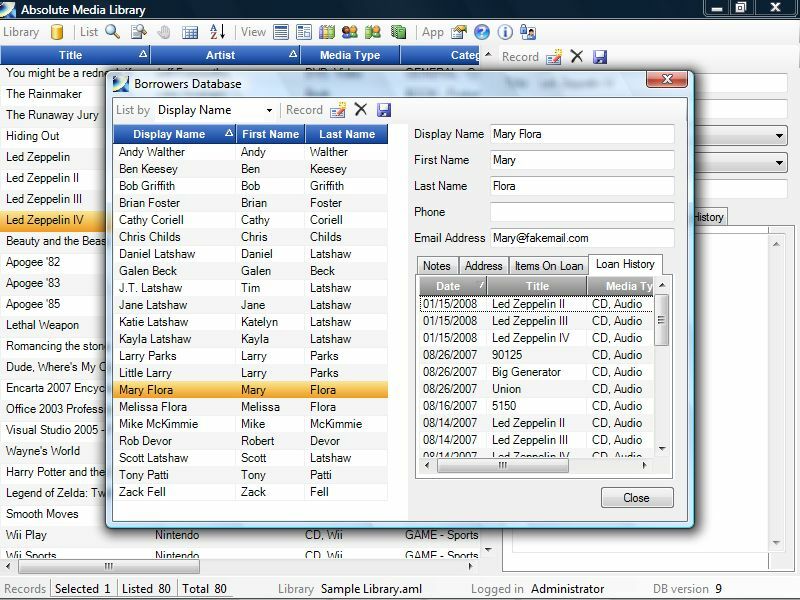 It can be used in both professional libraries and corporate network environments, as well as in the home for the hobbyists or collectors who simply need to track their collection. A great deal of thought is put into making Absolute Media Library so easy to use that virtually anyone who's ever sat down at a PC will be able to pick it up in matter of minutes. "Great work. I have been using AML for years and had to have it at my new gig. The new version looks and runs great! Taught my assistant how to use it in less than 20 minutes. Keep it up and again thank you. "